PROCAST ASIA | Procast Asia Co., Ltd.
We introduce high spec industry-ready workforces well-trained in our original curriculum. We work on encouraging development of both Japan and Kampuchea, using the technical intern trainee system in a reconstruction plan of Japanese government. A wide range of skilled workforces belong to us such as architectural students, skillful technicians who work on the site in reality, experienced Japanese engineers in Kampuchea.We introduce high spec industry-ready workforces well-trained in our original curriculum. We offer thorough Japanese language education to students, ting up with Kampuchean nursing colleges so as to create human resources who can speak Japanese well. There are a lot of fashion-oriented young people in Kampuchea. We work on providing Japan-style manner, Japanese language education, and beauty skill to Kampuchean women so as to create more places to work. 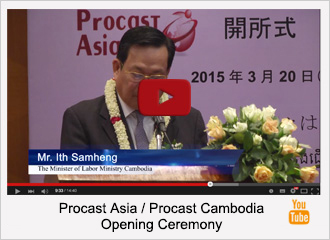 Procast language center is a small-group language school based on the capital city,Phnom Penh. Now Kampuchea is rapidly developing compared to other Asian countries, receiving global attention. We support your first step of overseas expansion. We provide Japanese information to Kampuchea, creating radio programs and TV problems. Also we can organize an all-in-one event in Kampuchea.